Important! Information at this web-page is only for NAVITEL® partners. End users can find partners contact information at the appropriate web-site section. 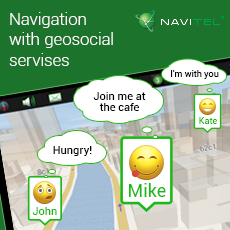 NAVITEL® - is a leading navigation services and digital cartography provider at automotive navigation market. More than 300 manufacturers and distributors of PNDs, PDAs and smartphones install NAVITEL® on their devices. Due to our extensive partner network NAVITEL® products are available in every region. 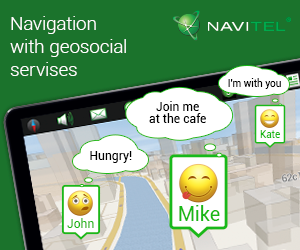 Find the nearest distributor of our solutions, or learn how to become a NAVITEL® partner. NAVITEL® AFFILIATE-PARTNER is a partner (legal entity/ individual), which locates on his web-site affiliate link to the NAVITEL® store. Affiliate partner receives specific fee for each purchase, made at www.navitel.cz by visitors, who came from such links. After filling the form you will receive an e-mail, confirming that you have been admitted to the program. Log on, choose NAVITEL® from the list of vendors and apply to the program. Choose your products and get needed promo-materials from the web-page. The following banners can be posted on your website. Please on any questions, related to affiliate program, contact us: affiliate@navitel.cz.